WARNING. ACRYLIC AND GLASS REQUIRE DIFFERENT TOOLS. A SCRAPER MADE FOR GLASS CAN AND WILL SCRATCH ACRYLIC. GLASS IS A VERY HARD SUBSTANCE AND ACRYLIC IS SOFT IN COMPARISON. ALWAYS CHECK BEFORE YOU SCRAPE. Like the warning states, you should never use glass cleaning tools on acrylic. An acrylic scraper will work on glass, though glass only scrapers tend to work more efficiently. A simple reading of the package will tell you if the tool is designated for either/or, and some may include multiple attachments to use between tanks. This is not as good as an idea as it sounds, since this doubles the risk of something like ich to travel between tanks, or any other type of issue you may not be aware you have. For the money, it is worth every penny to buy individual tools per tank. Besides, most people with multiple tanks have a tiny one and a big one. You would not want to try to clean a tiny tank with a giant Mag-Float, now would you? 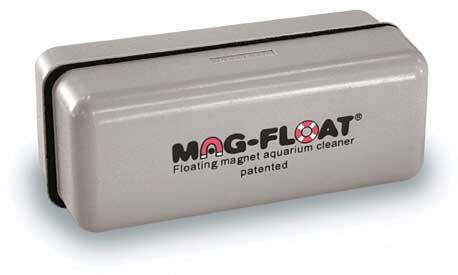 Or how about cleaning a 6 foot aquarium with a Nano-Mag? The effort one would need to put into such a scraping is far more unreasonable than just spending a few more dollars for another scraper to suit your tank size. 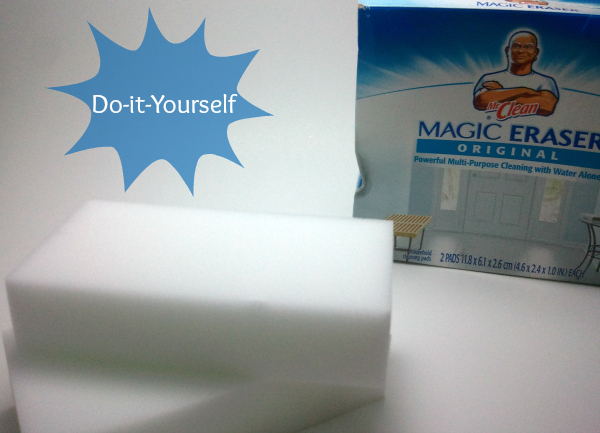 Sponges, as long as they are sold with no added chemicals or detergents work wonders on glass and acrylic. They are gentle but effective and what Grandma uses on her fine china. 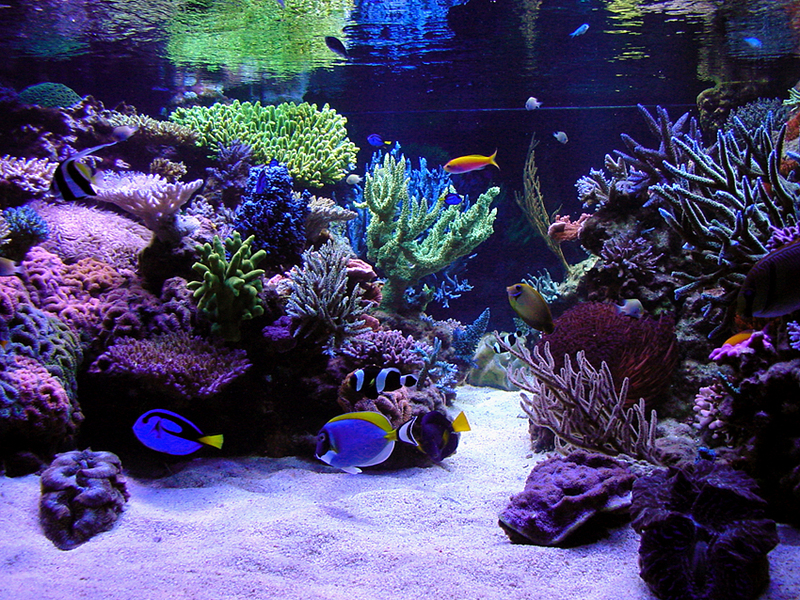 Most often the softer side is enough to clean the average tank. They are also a good way to clean all the debris off before you try to scrape any coralline that may have taken root. 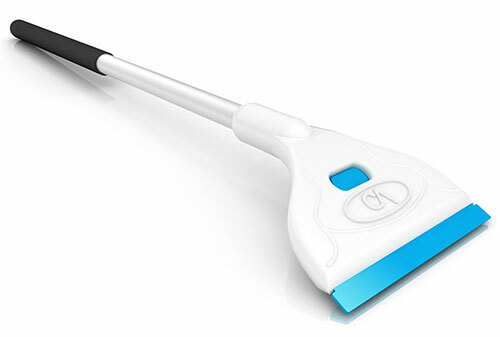 This just cleans all the stuff off that does not require scraping and saves you quite a bit of time. These are generally a soft plastic. They are never metal. They are softer than the acrylic so that if there are any objects in the path that could potentially scrape the viewing panels it will instead damage the scraper, which most have available replacements for such occasions. On thick acrylic these work like a charm. On smaller tanks with the very thin acrylic you may notice more imperfections in the tank, such as dips or curves. When scraping the tank you will have spots in the dips that don’t get scraped without going at them in various angle. This is not always a problem, but one I have seen quite a few times in DIY and cheaper store-bought tanks. 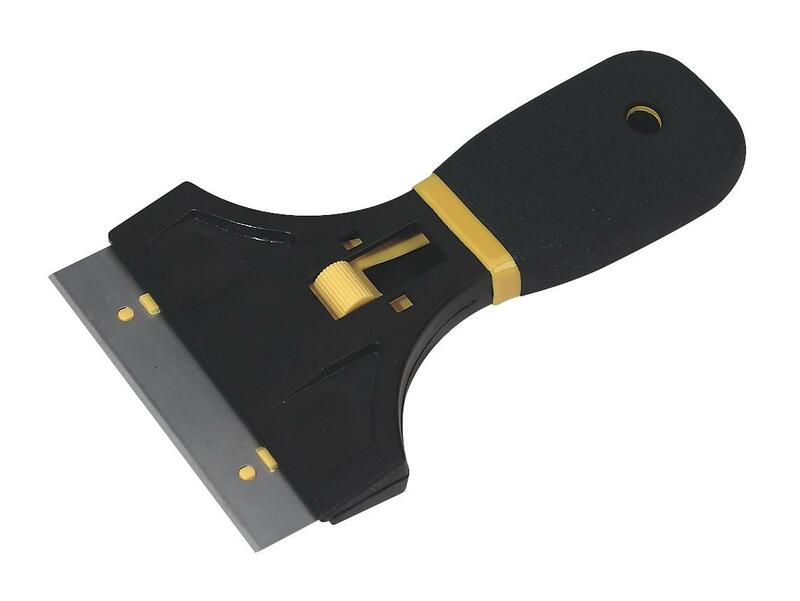 There is still a risk of scraping the acrylic so use caution and replace your scraper blades when they get damaged. These are awesome. The ones I prefer have metal blade not unlike a putty knife or spatula. Glass is (well it better be) flat. A glass aquarium with dips and bulges has a severe problem and you should get help now because it is going to explode soon. Now, back to a perfectly stable pane of glass…They are flat, even a bowfront is uniformly flat from the perspective of the scraper. You can skip the sponge and scrape the whole tank like your windshield when it snows. At the same time, with all the flow off, you can use a small diameter siphon hose and even vacuum out all the excess gunk, though some like to let their corals and fish munch on it. If you mostly have coralline or plankton that is completely fine, but please don’t scrape Cyanobacteria onto your SPS colonies to save money on food. That is NOT food. They are “like” the most convenient devices. I say “like” because they are not the most convenient devices. The idea of a glass cleaner that is already under water, ready to scrape, and can be utilized from the comfort of dry land is definitely awesome, and with proper caution can be a great way to get your tank clean. With convenience comes drawbacks, so do not get your wallets out just yet. 1. Magnets. Some, but not all…in fact, very few companies use magnets that when exposed to sea water rust. After years of use the chance of a rust-provoking brand will eventually fail you. These were most likely intended for freshwater use, so check to see what floats your boat…in saltwater. 2. Stuck at sea: When your floating in the sea, you tend to develop small eco systems on your vessel. 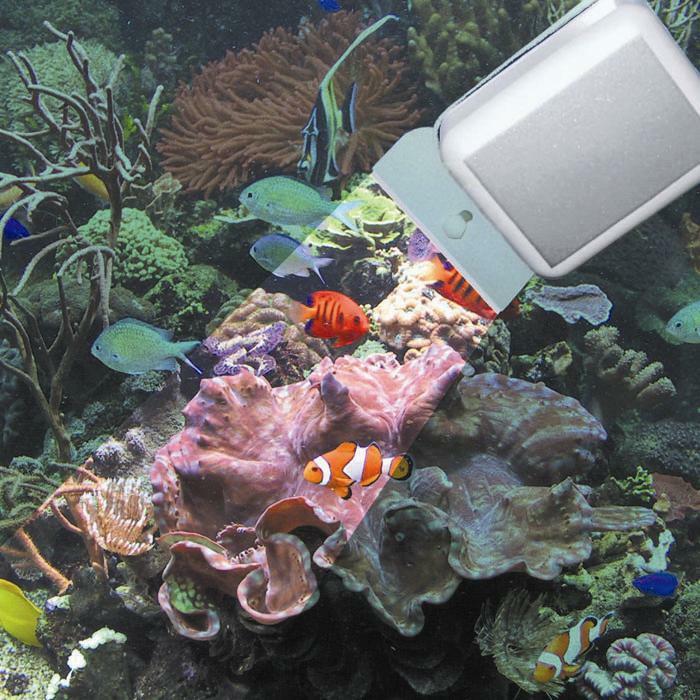 A mag float is no different than the stationary rock in your tank, especially if you have a designated hiding place for your float when not in use. After a while it develops its own small community of growth and life forms. The side against the glass will even become overgrown with things like algae or pods. Rule #1: Check the label on your tool’s package. Rule #2: Do not double dip your cleaning tools, always use separate pieces. 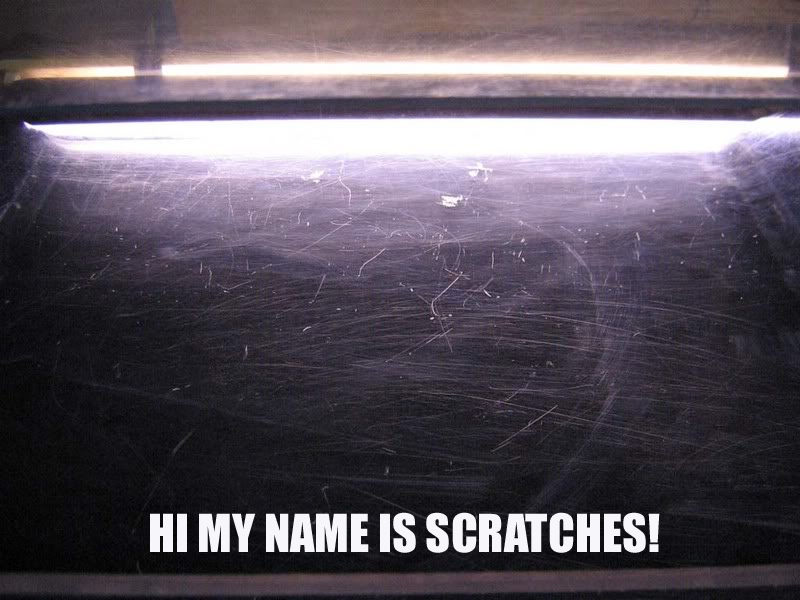 Rule #3: Always check for sand or life forms in your magnetic scraping tools before you turn your tank into a spiderweb of scratches. If you need help or want others opinions on scraper preference you can check out the (Reef Discussion Forum) and see what the world recommends. There are more than enough affordable, effective tools on the market to suit your needs.